© 2017 KB Connects LLC. All rights reserved. Budley is available on Amazon Prime! 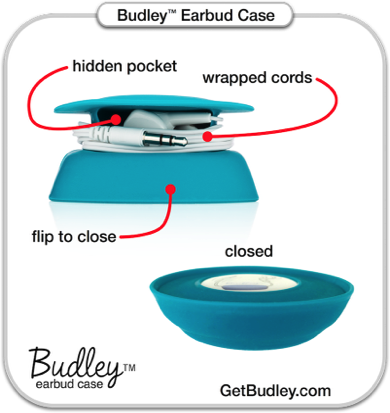 Budley's patented design provides earbud storage and protection for standard size earbuds while keeping them neatly organized.